Never did I ever think I would be celebrating Earth Day. I'm not a big proponent of going green, and oddly enough, my environmental science has only made me less sympathetic for environmental causes as it goes a little too extreme (but I won't go on my soap box...for now). 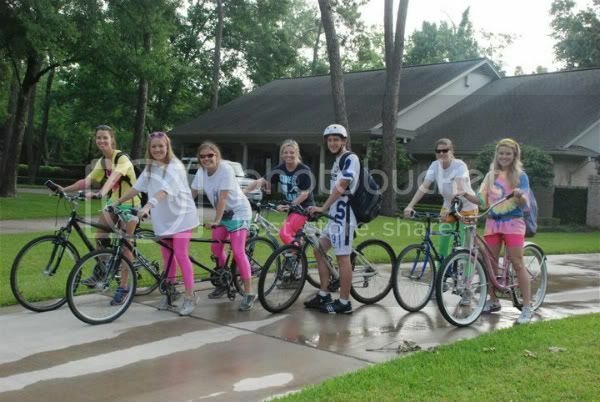 However, incentives like free kolaches, a Thursday morning spent with my friends, and an excuse to get some use out of my neon spandex convinced me to bike to school last Thursday in honor of Memorial's celebration of Earth Day. Not to mention, gas is 'spensy these days! 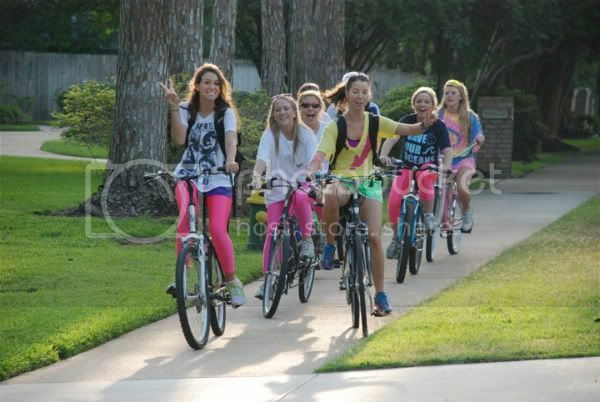 Most of us drove to Caroline's house (yeah, kind of defeats the purpose but half the pollution is better than nothing). Lexi had to provide a bike for me seeing that I haven't owned one since..well uh...I can't even remember! It's a popular mode of transportation for many Austinites, so I may have to consider investing in a bicycle of my own in the next year or two. But, as many of you know from my bucket list, my real dream is a yellow vespa. 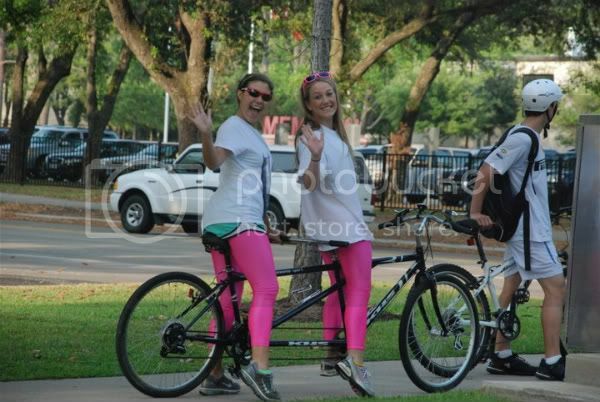 MC and Caroline rode the tandem together. Though it may look super cute, apparently it's not as cute when you're a passenger. I'm glad I stuck to the good ole fashioned kind. 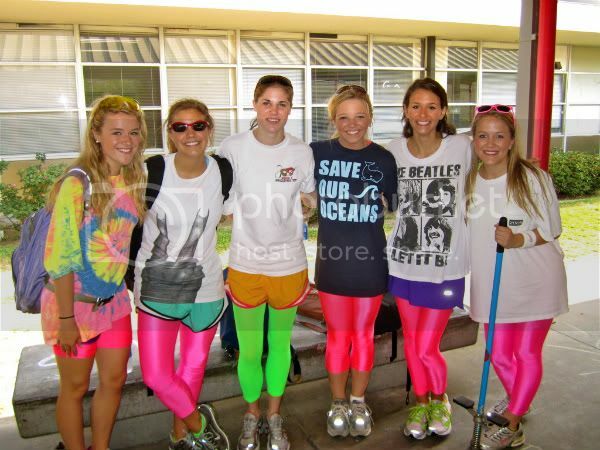 Here's the whole gang--Lexi, Mary Caroline, Kirby, me, Ellie and Caroline. I purchased my shirt from the FACE club (Fellow Advocated of Conserving the Environment) that week, mostly because it featured one of my (& Lana's!) favorite quotes on the back: "The person you love is 72.8% water." They played a joke on it by adding "Conserve water. Conserve loved ones." We were greeted by our APES teacher at the bike rack (who I think was rather shocked when we arrived on two wheels knowing us). The APES students got environmental points for our efforts, though I wish those points could be translated into points on my AP in less than a week! Yikes.